23 of these nuts, 1 oz, contain 3.3 g of fiber and 6 g of protein. What’s more, they’re a filling snack that is now thought to contain only 120 calories per ounce- not 160 like we’ve always been told! Our bodies are unable to absorb them completely as they pass through our digestive system, so some granules pass through undigested. 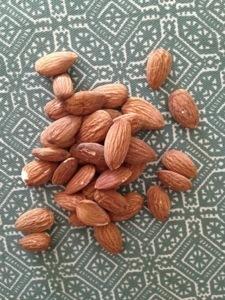 Almonds are a great portable snack! I like to enjoy them as almond butter and almond flour as well. Tangy and lightly sweet, this fruit is a staple for making green juices with spinach and kale. 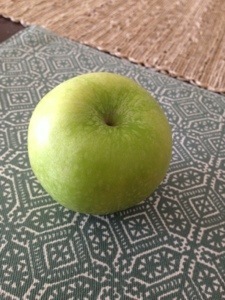 Green apples are rich in LDL cholesterol lowering soluble fiber and they keep for a long time compared to some other fruits. Can’t live without it! 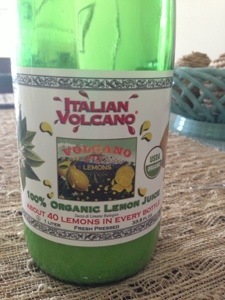 I use lemon juice to flavor my water everyday. It helps me to drink much more water than I otherwise would. Another potential benefit is that it creates an alkaline ash in the body to counteract naturally acid forming foods. I’m not sure that really matters much, but it makes me feel even better about drinking it! 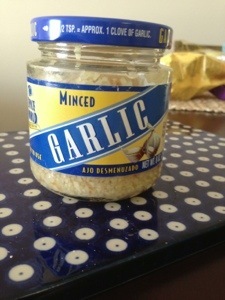 I put this stuff on everything! It’s spicy and gives savory foods the best flavor. 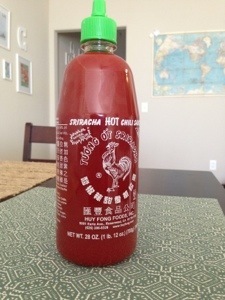 I use this for flavor, not nutrition, but spicy foods are thought to boost calorie burn slightly. This lean protein source is ready to eat in minutes. It provides easily absorbed, incredibly bioavailable protein and all the essential amino acids. This superfood is also a complete protein source containing all nine essential amino acids! 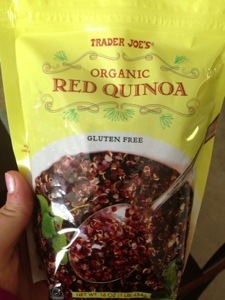 It cooks in 15 minutes, is gluten free, and contains nearly double the fiber of most other grains. Try it as mac & cheese and your mind will be blown! I like to keep canned salmon on hand because it’s convenient for last minute meals, like salmon cakes and salads. 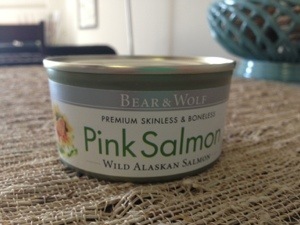 Salmon is a great source of protein, Omega 3 fatty acids, and calcium. Canned salmon is also very low in mercury, making it a safer choice than swordfish, ahi tuna, and Chilean sea bass. I get bored of using the same vegetables all the time, so I usually switch up which ones I use based on what’s in season or what I feel like cooking. Spinach is the exception. I never get tired of this nutrient packed veggie! It’s full of iron, vitamin K, potassium, and B vitamins among other nutrients. It doesn’t change the taste of foods you put it in, so it doesn’t hurt to toss a handful into every smoothie, soup, and stir-fry! 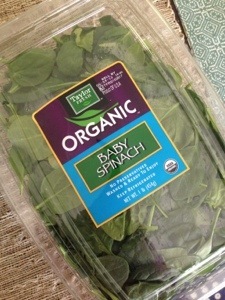 At 10 calories per cup, you can really bulk up your foods with it- guilt free! 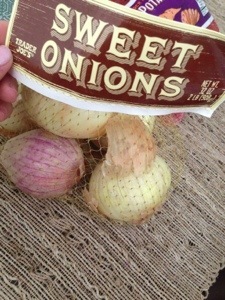 These two allium vegetables provide the depth of flavor I like in all my cooking. I use them in Italian, Asian, and Hispanic inspired dishes. They are flavonoid rich to prevent heart disease, naturally anti microbial to fight infections, and packed with cancer fighting compounds. 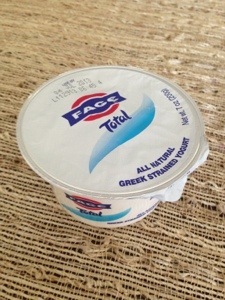 Greek yogurt has twice as much protein as regular yogurt and the plain variety is so versatile! 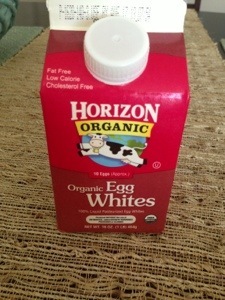 I like to use it in smoothies, desserts, and in savory dishes as a replacement for sour cream. Ok, so I actually have 10 more foods for this list… Stay tuned! 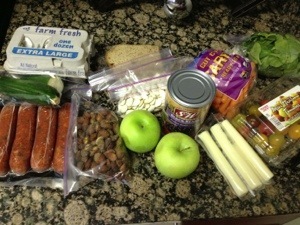 What foods do you keep on hand at all times? Green apples, chicken sausage, veggies, string cheese, pumpkin seeds, almonds, eggs, more veggies, And paleo bread for breakfast sandwiches. 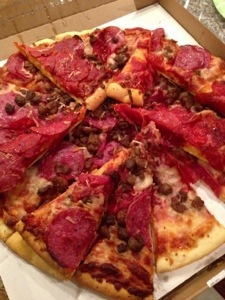 This evening was my first major craving challenge… Pizza!!! SO MUCH PIZZA. And that happens to be my favorite food. Guess what, though? 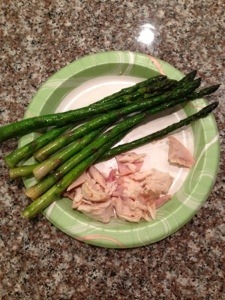 I stayed strong and had some chicken and asparagus instead. It was hard to pass up the pizza, but I’ll be happy about it tomorrow. I’m also really glad that my bunk mate, Carrie, brought her vitamix along! I’ll definitely be having a green smoothie with breakfast before our grueling workout. So far I hear rumors that we will be doing an 8 hour long workout and eating some MRE’s along the way. Good thing I packed snacks. Bikram yoga will basically reset your body. It will beat you into submission. It will teach you to find comfort in the discomfort. When you walk in on your first day, it feels WAY too hot and humid and it smells like feet. Expect that. Come prepared with ice cold water, a yoga mat, a big beach towel, and an extra towel to sit on in the car on the drive home. You will come out of there completely soaked. To combat that disgusting smell of old sweat, I’ve turned to the advice of paramedics who deal with the smell of rotting flesh and open wounds on a regular basis: Vick’s Vapor Rub under the nose. Slather it all around your nostrils and above your upper lip. The menthol is suffocating, but TRUST ME, it’s much better than the smell of a carpet that has been soaking up sweat from the bodies of hundreds of people every day. You’ll look like you have snot all over your face, but you’ll thank me. Ok, I know you’re probably thinking you’ll feel really naked in so little clothing, but there’s more benefit to it than comfort. When you walk into the room, you’ll have to pick a spot to set up your mat and towel. It seems that a lot of folks like to stay close to the back and the doors for an easy escape. Unfortunately, most bikram yoga instructors won’t let you leave the room during class. So, tell your insecurities to shut up for a minute and march yourself to the front of the room (1st or 2nd row). Be sure to pick a spot where you can see yourself in the mirror and don’t get directly in front of anyone behind you. The next 90 minutes are a therapy session for your body insecurities. So there you are, barely clothed and face-to-face with your reflection for an hour and a half. This probably seems like a really unpleasant prospect if you don’t love your body. You probably cringe at any extra pounds hanging around your belly and thighs and are aware of every perceived imperfection in your skin. Fortunately, Bikram yoga will help change that. I find that it’s very therapeutic to be forced to spend yoga time learning to appreciate the hard work your body is capable of and seeing what you ACTUALLY look like. During the next 30 days, as you push yourself to go deeper into each of the 26 postures, you will be amazed at what your body is capable of. Chances are good that by day 3 you will have found new appreciation for the body you’ve been blessed with. As you face your reflection more, you’ll also start to realize that the mental image you have of yourself is probably a lot worse than what you actually look like. You look good! In addition to the self-esteem benefit of Bikram yoga, you will reap other mental benefits as well. Dragging yourself to a class that ends up being a minimum 2 hour long ordeal (including shower, getting there and back, etc.) will strengthen your willpower. I could talk on this point for hours, but let me just explain a little bit. Taking 2 hours out of your day for yoga is probably a BIG sacrifice of time and effort for you. You get there and it’s miserably hot, humid, and uncomfortable. It’s probably crowded too. Some days you feel like you’re going to pass out or throw up. Some days emotions get released and you just want to lay on the floor and cry. Other days you have so many thoughts going through your mind that your heart starts racing and you begin to feel sick. With time, as you keep coming back, you will overcome all of this. You will learn to control your mind a bit better. You will be able to quiet your noisy thoughts, steady your breathing, push your muscles deeper, and let yourself take a break. In class, as you begin to appreciate how strong you are becoming, you will be able to smile and pray silent prayers of gratitude. I believe that self-control is a gift- one of the fruits of the Spirit- and you can find you have it through Bikam. Learning to use self control is like strengthening a muscle. By coming to class every day and getting through it with a spirit of joy and gratitude, your improved willpower will come through in other areas in your life. Personally, I have found that it is a lot easier to eat a healthy diet when I know I have to go to Bikram. I don’t want to go to class feeling full, bloated, or gassy. I especially don’t want to eat foods that will make me feel sick when I know I will be in that hot room wearing nearly nothing. Class holds me accountable. Aside from making healthier food choices, other areas of my life have improved as well. I have a bad habit of picking at my cuticles until they bleed (gross, I know). When I practice Bikram yoga, though, I take better care of my hands because I know that sweating all over my cracked fingers will make them sting. I think the humidity in there helps to moisturize my hands so they heal faster, too. Bikram teaches patience. Being patient with my body as I’m working to get better at the postures helps me to be patient outside of class, too. I bet you’ll experience similar benefits! As a Christian, I find that Bikram yoga makes me stronger spiritually. Going to class heals my body, and by making healthy choices, I am honoring God. I am showing Him that the body He has graced me with is good, and I want to be good to it. Choosing to exercise my body daily is an act of obedience. At the end of the day I know I can offer up this choice, along with the healthy food choices I’ve made, to the Lord as a acts of worship and indicators of gratitude. Does that make sense? Through prayer in class and healing choices outside of class, I am thanking God for building in me a Spirit of self-control. I am thanking Him for the body and the strength that allow me to get through each day with vitality to do His will. Lately I’ve been eating out a lot more frequently than usual. Maybe it’s because I’ve cleaned all the snack foods out of my pantry. It’s left mostly bare- save canned black beans, tomatoes, chicken stock, bread, cereal, and uncooked grains. No treats in sight, and I crave treats a lot. It’s probably a good thing that I don’t have any snacks around the house to munch on, but sometimes the cravings hit hard! I know a situation is dire when I’m ready to mindlessly munch on toast or cereal since there’s nothing around for me to really enjoy. In these situations, I’ve decided it’s best to go out and have a reasonable and delicious meal than to binge on something as unsatisfying and nutrient poor as a bowl of Sugar Puffs. God made food to be enjoyed, so I thought I’d share some of my favorite tips for enjoying good food! Ultimately, people who eat out often have a harder time losing weight than those who usually prepare their meals at home. It’s true, but a life without going out to eat seems sad. And a protein shake with fruit or scrambled eggs at home won’t always make the cut. So before you grab your keys and head out the door, consider these ways to stay in the moment and be a mindful eater at the restaurant! I hope that the following ideas will help you make the most of your dining experience without blowing your healthy eating plan. People can fall into a rut of eating the same dishes at the same restaurant, or they may say yes without thinking if a waitress suggests an appetizer. Mindful eating involves breaking those autopilot habits that we have around eating. *Bonus* Stick with an appetizer, a drink other than water, OR dessert instead of getting all the extras. Think about what you really love to eat, and save your calorie budget to spend on those foods. Does that cheese on the burger really make it for you? If not, that’s about a hundred calories. *Bonus* Enjoy what you’re having, but eat less. Consider splitting a dish with a friend, or ordering a side of fruit instead of potato chips if you wouldn’t really enjoy them anyway. Gravy, salad dressing, butter — if you can ask for something on the side, do it. Then you have control of how much you really need or want on there. *Bonus* Don’t be afraid to ask for what you want- if you’re concerned that your willpower may fail when the waitress busts out the bread basket or chips and dip, it’s ok to ask her not to bring them out. Before you dig in, take a moment to ask yourself how hungry you are on a scale of 1 to 10, and how that hunger matches up with what you’ve got in front of you. Remember, you don’t have to clear your plate. *Bonus* If you tend to clean your plate, consider asking the waiter to box up half your meal before it gets to you. When you’re eating, really be aware of the sight and the texture and the taste of food. We go out to eat because it’s enjoyable, it’s pleasurable, it tastes good — all of that. If you’re really paying attention, maybe you don’t have to eat the whole basket of fries; you can eat just a handful. *Bonus* Enjoy everything about the dining experience! Get dressed up, have a great conversation, check out the décor of the restaurant, and have fun with whoever is keeping you company. It can take our bodies up to 20 minutes to register the fact that we’re full — and during that time we’re often continuing to stuff ourselves. Take your time, chew your food carefully, and treat a meal as a leisurely stroll rather than a race. *Bonus* Did you drink your water? Try drinking a whole glass of water before your food comes out and remember to take sips between bites. Ask for extra lemons to give your water more flavor. While you’re eating, put your fork down for a moment and assess how you’re feeling. We get into such a habit of picking up the fork and putting food in our mouths, without even checking in with ourselves to see, ‘Am I still hungry, or am I full?’ *Bonus* If all else fails, try eating with your non-dominant hand to slow your roll. What do you do to ensure your restaurant meal is as enjoyable as possible? I love love LOVE coffee!! It keeps me going each and every day. Usually one cup in the morning does the trick, but particularly relaxed Sunday afternoons require an extra caffeine boost. Today, it’s in the form of a Grande Skinny Mocha from Starbucks. Did you know a grande has two shots of espresso? I got 175 mg of caffeine from my drink and am ready to take on the rest of the day! If you’re a caffeine fiend like me, you’ll love this website. Sounds good to me!! I’ve also heard that brewing a nice, expensive cup of fancy tea makes a fragrant treat to look forward to. Doesn’t that sound nice? 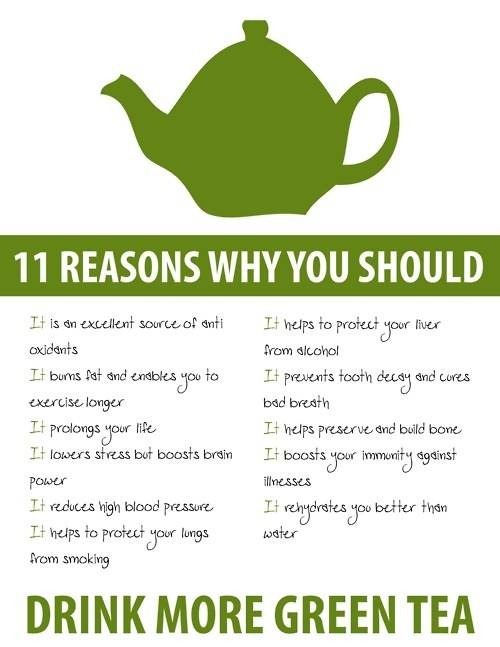 Just imagine curling up with a good book and a mug of hot honey green tea, filled with antioxidant goodness. This honey ginseng green tea is incredibly delicious and soothing. In the battle of health benefits between coffee and tea, there is no clear winner. Check out this great article on the subject and enjoy your preferred beverage! For now, I’ll be sticking with a cup of coffee in the morning and tea in the afternoon.